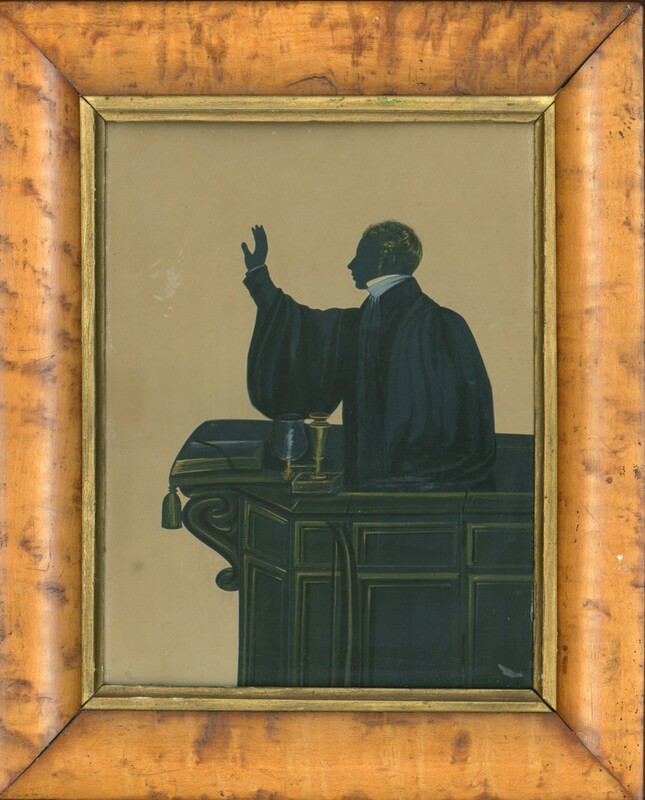 A striking cut and painted silhouette of a young preacher, named Samuel Jones, addressing his congregation. 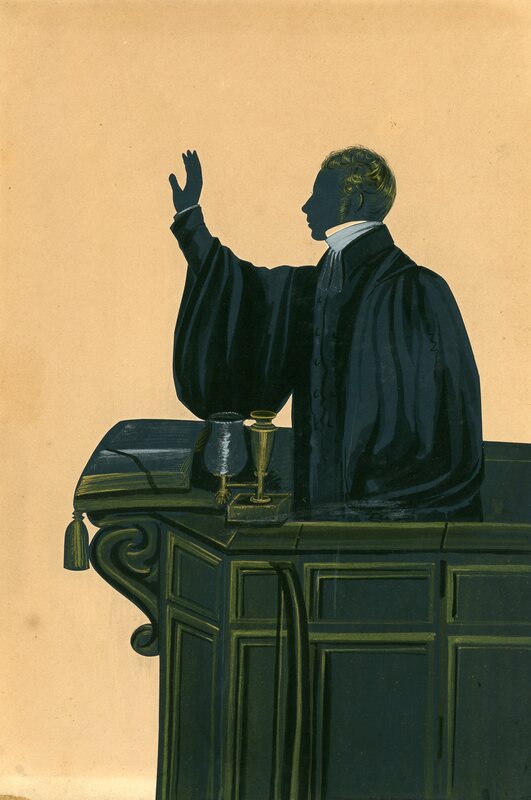 Wearing his academic gown and bands, the Rev Jones is standing in a panelled pulpit with an open Bible before him on the scrolled and tasselled book stand next to a small brass oil lamp with a glass globe. 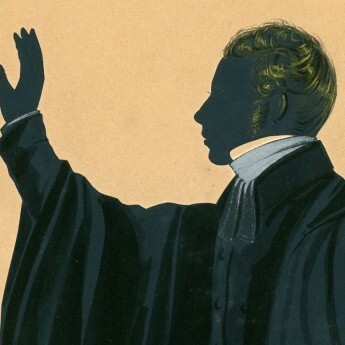 The silhouette is inscribed verso ‘The Rev. Samuel Jones preaching in the / old Caroline St. Chapel Longton – / (about 1840)’. Longton is located in the Potteries just south of Newcastle-under-Lyme and, during the nineteenth century, was a bustling market town with a thriving pottery industry. 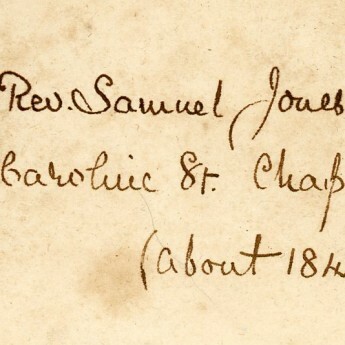 According to William White’s Gazetteer, the Independent Chapel was built in Caroline Street in 1819. 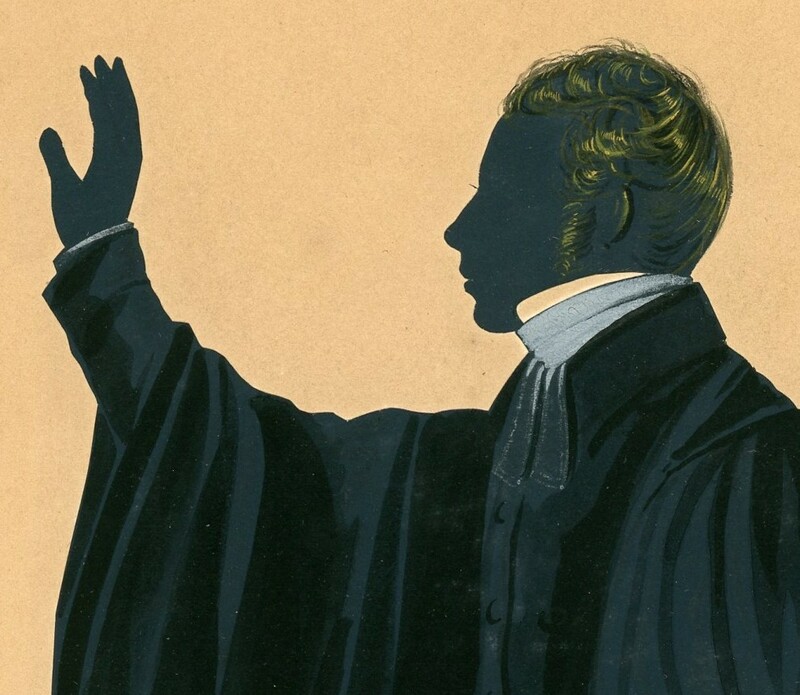 By 1841, during the Rev Jones’s tenure, Sunday School attendance averaged 200 children whilst the congregation for evening worship often exceeded that number. 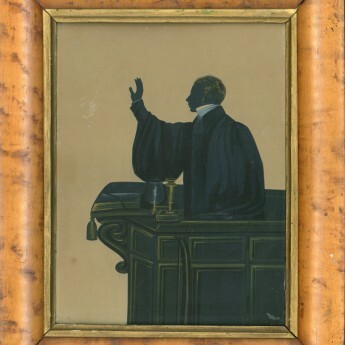 The silhouette is presented in the original rounded maple veneer frame with a gilt slip. Fine condition.